Happy Fall, you guys! Palm Springs hasn’t quite gotten the autumn memo yet… I’m looking forward to temperatures dropping down below 100 degrees, and reducing AC usage at home. As we progress into the cooler months, I know that more people will be coming here to enjoy our beautiful weather! With that said, I’m continuing the Palm Springs series with another post on 15 of my favorite spots in & around my hood. There is just so much to see. I feel like no matter how long I live here, there will always be new gems to be discovered. 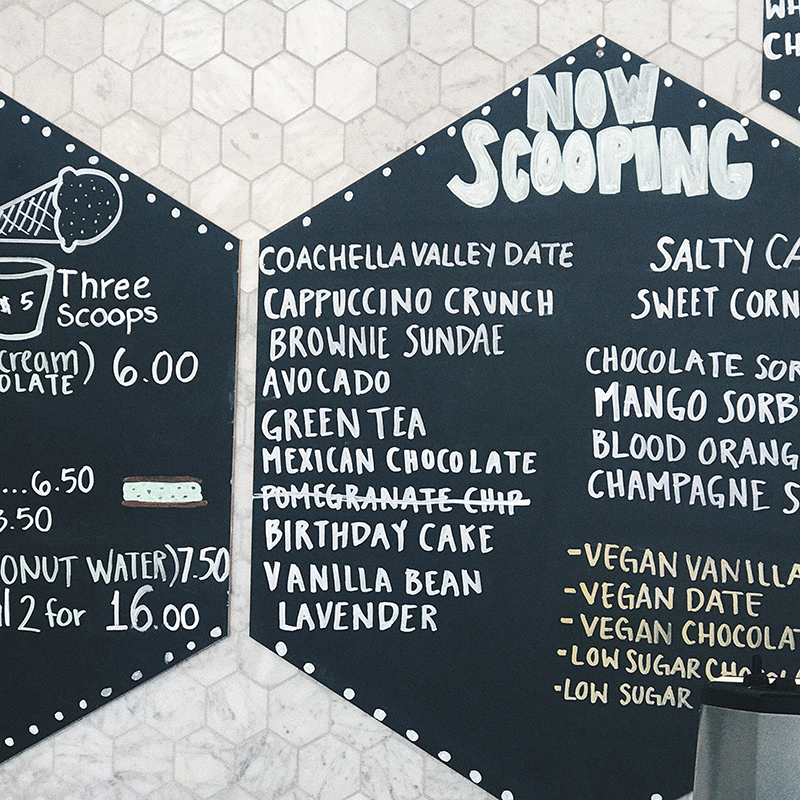 If you’re planning a trip to the Coachella Valley, I highly recommend checking some of these Insta-worthy spots out! Driving from LA? 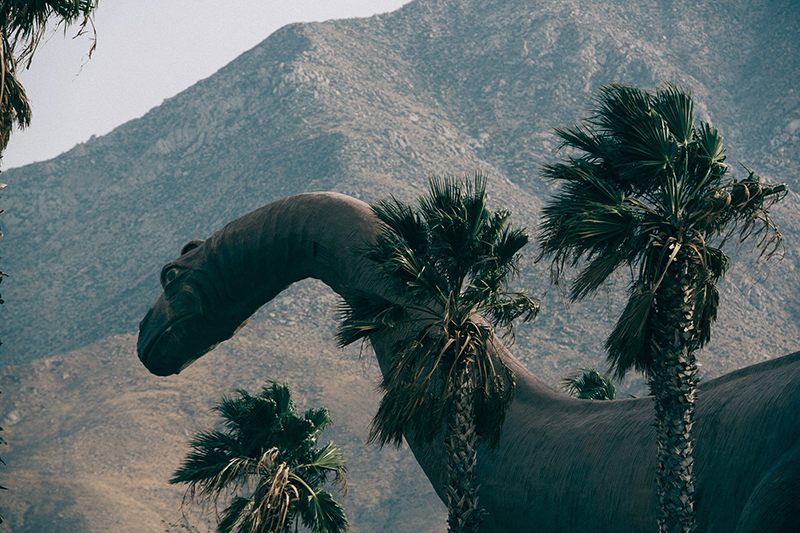 You’ll conveniently pass the Cabazon Dinosaurs on your way into Palm Springs. It’s located right next to the Cabazon Outlets – a roadside stop that’s quite hard to miss. When it’s not overly crowded and lighting conditions are right, these dinos present a unique photo opportunity for tourists and locals alike! The Whitewater Preserve is a stunning hiking trail with water flowing through certain spots like a river. The water is refreshingly cooling on hot days! We have taken our pugs out on walks here early in the morning and the younger one just loves to play in the water. As you enter the road to get up to the hiking spot, you’ll also see a heavy stream of really clear blue water where people like to pull over, admire the view, and take pictures. Some even go down to the river and hang out – although it’s strongly frowned upon by authorities because it’s not exactly the safest place to be. Pro tip – whatever you do, do not leave anything out in plain sight. Our car got broken into earlier this year and we were only out for maybe 15 minutes tops! The parking situation is much safer once you get up to the Preserve, but I’d still keep valuables out of sight to be safe. 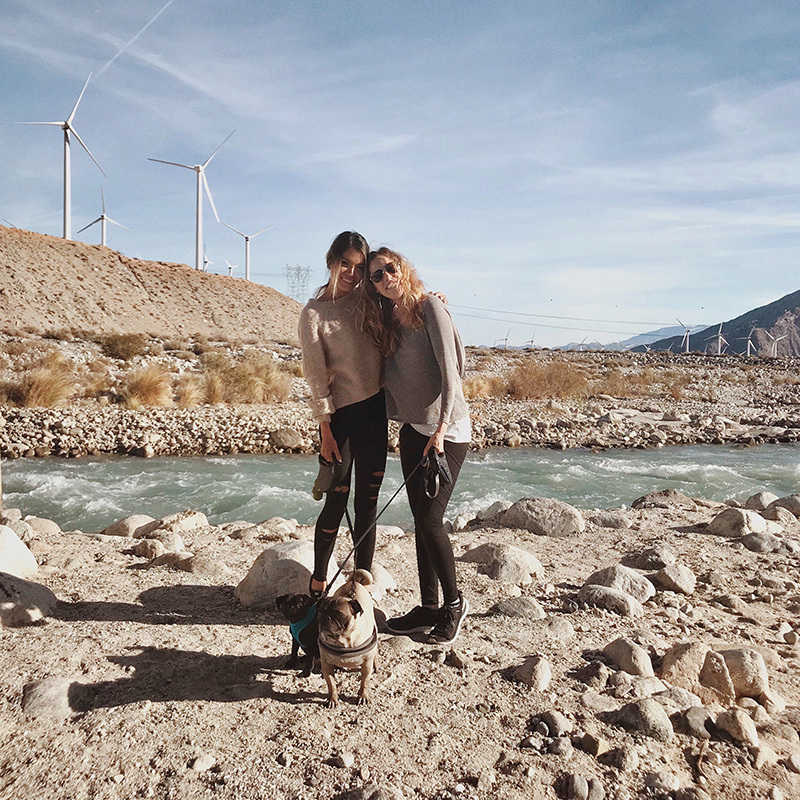 The iconic windmills were what drew me into Palm Springs years ago when I first visited. If you come during sunrise or sunset, you’ll likely be rewarded with a breathtaking view! David and I have done countless photoshoots out in the desert with the windmills in the background. Depending on time of year and day, it can be quite windy in these areas (thus why the windmills exist in the first place). So, wear a comfy jacket and maybe bring a hair-tie if you hate having hair blow around everywhere like I do. 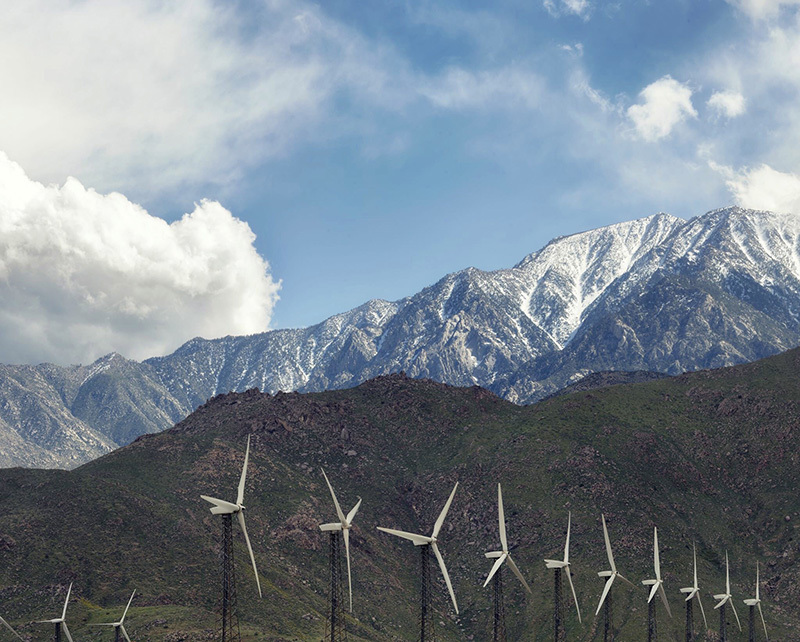 Once you see these windmills, you know you’re entering Palm Springs! 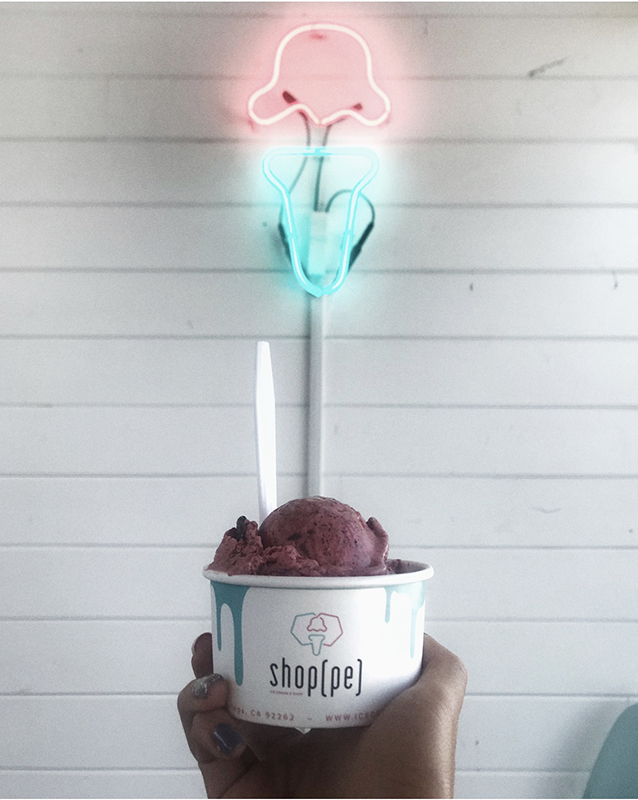 Whether you like ice cream or not, you must make a stop into Ice Cream & Shop(pe) in Downtown Palm Springs, part of ARRIVE Hotel! This is seriously the CUTEST ice cream shop ever – you won’t regret stepping in. My ice cream lovers will enjoy a variety of flavors to choose from. The quality and texture of their ice cream is simply unparalleled. My ultimate favorite is the pomegranate chip and it always crushes my soul when I walk in and find that they don’t have this flavor for the day. They switch out ice cream flavors at random. Not so into ice cream? Hang out in & peruse through their little souvenir shop in the corner. They’ve decorated it so “Palm Springs” – oh so colorful and pretty! Plant lovers, anyone? 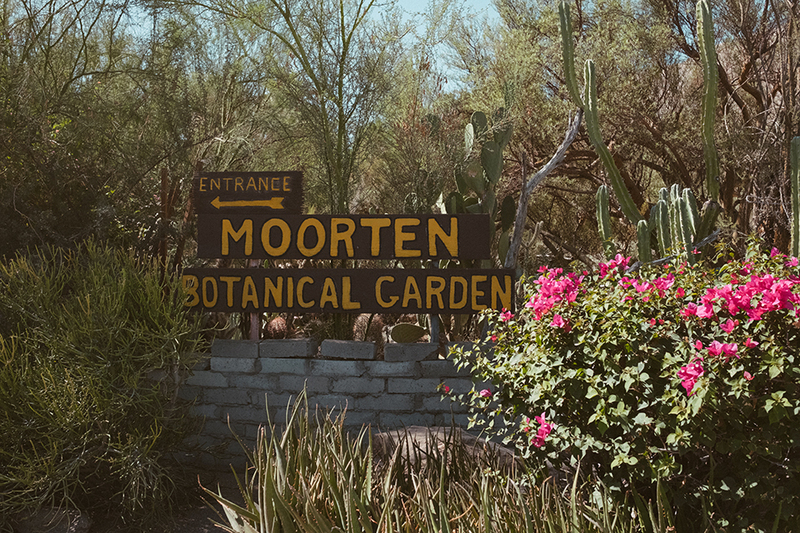 Stop by the Moorten Botanical Garden & Cactarium in Palm Springs to walk through a fun maze of succulents and cacti. I’d recommend coming earlier in the day to avoid the heat if you are here in the summer. Trust me, it’s really not as enjoyable when it’s too hot out. It’s only $5 per adult to go in, so it’s really friendly to every vacation budget. My favorite spot in this garden is the greenhouse – a great place to do a “follow-me-to” shot if you’re into that! 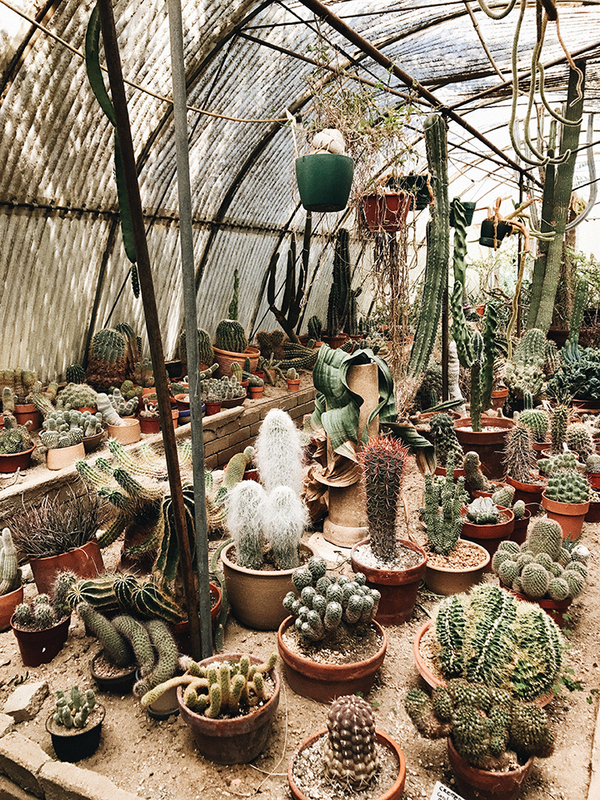 They also have a section where they sell plants, and you don’t have to pay to enter this area of the garden. 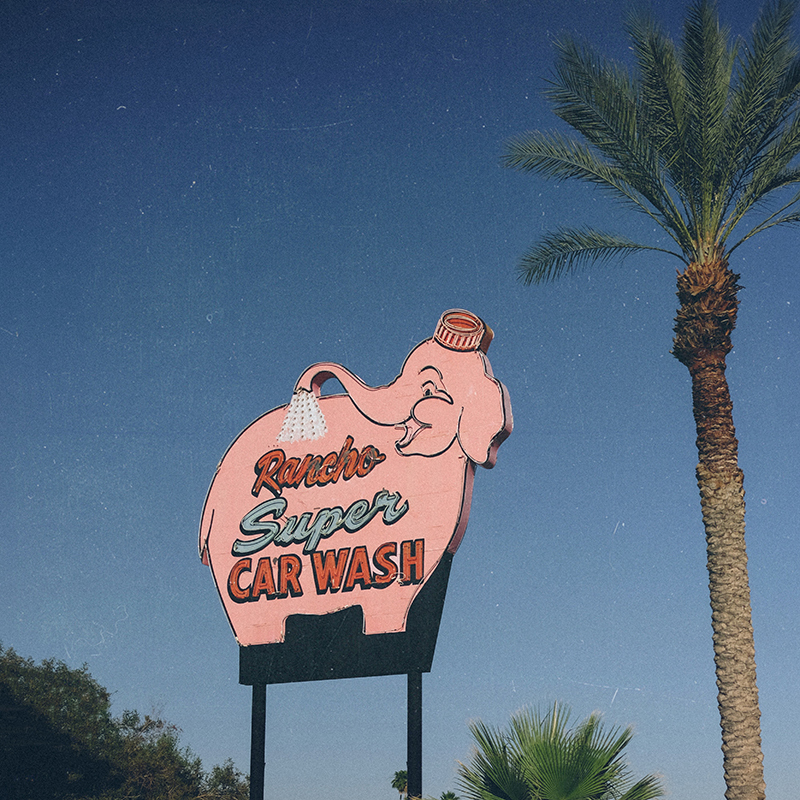 As you go down Highway 111 towards Coachella, you’ll come across a cute pink elephant car wash called the Rancho Super Car Wash in Rancho Mirage. I know it’s really no big deal, but I just love the vintage vibes and character of this spot. If you want a picture in front of it, you’ll have to come early in the day before the car wash opens to get an undisturbed look. Street traffic is typically friendlier, too. At night, the sign lights up and looks awesome! Meet the zoo of the Coachella Valley! 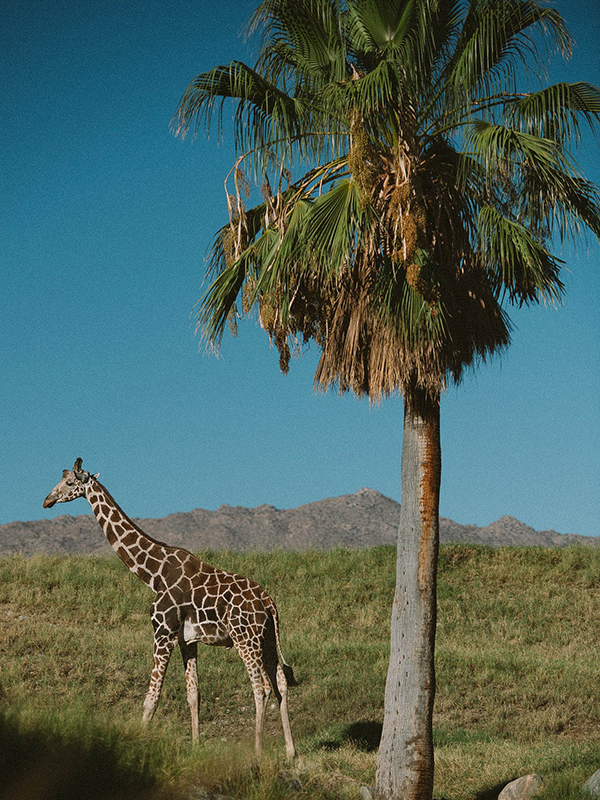 Located in the heart of Palm Desert, The Living Desert is a zoo worth checking out. Compared to other zoos, this one is on the smaller side, but very unique in its own way. David and I love that they have a good mix of plant and animal life here. We got an annual pass earlier this year and have gone several times already. Parking has always been a breeze and is free. There are a multitude of cute spots to take photos. 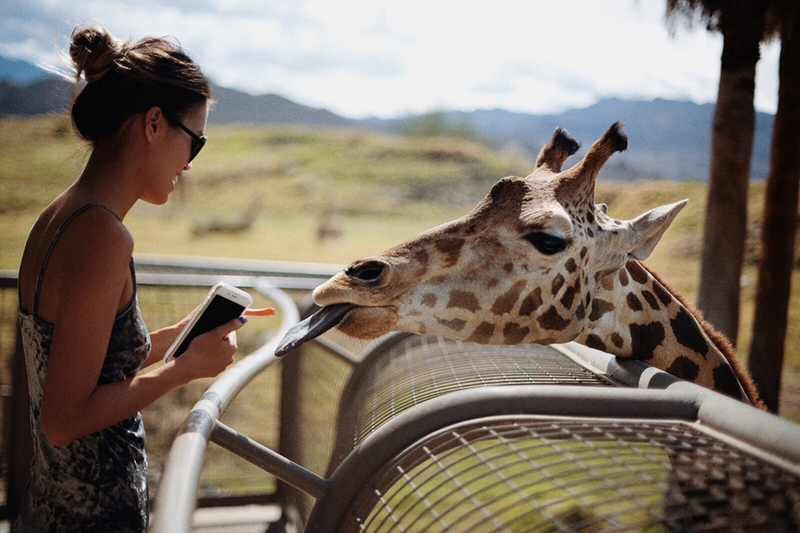 Our favorite is the giraffe exhibit because it is so photogenic – depending on how you photograph it, it could look like you’re in an African safari! A couple cities over from Palm Desert is La Quinta. The downtown area is called Old Town La Quinta, and it’s a beautiful place to take an early morning or evening stroll. The Spanish tiles here add a perfect splash of color in photos. If you ever get hungry or thirsty while exploring the area, there’s plenty of food and drink options to take delight in. I’m not a coffee person, but I’ve heard great things about Old Town Coffee Company. There are also small boutiques and shops that are fun to check out if you’ve never been! Every Sunday from October 7 – April 27, Old Town hosts a certified farmer’s market from the hours of 8 am – 12:30 pm. If you are a sucker for flowers like I am, you’ll fancy the Rose Garden in Indio. It’s in the Empire Polo Club, right next to where the Coachella music festival takes place! Entry is free and parking is easy. The flowers are typically in full bloom during Spring and die off in the summer when it gets scorching hot. I’d recommend visiting this spot if you’re in town in late March to late May. 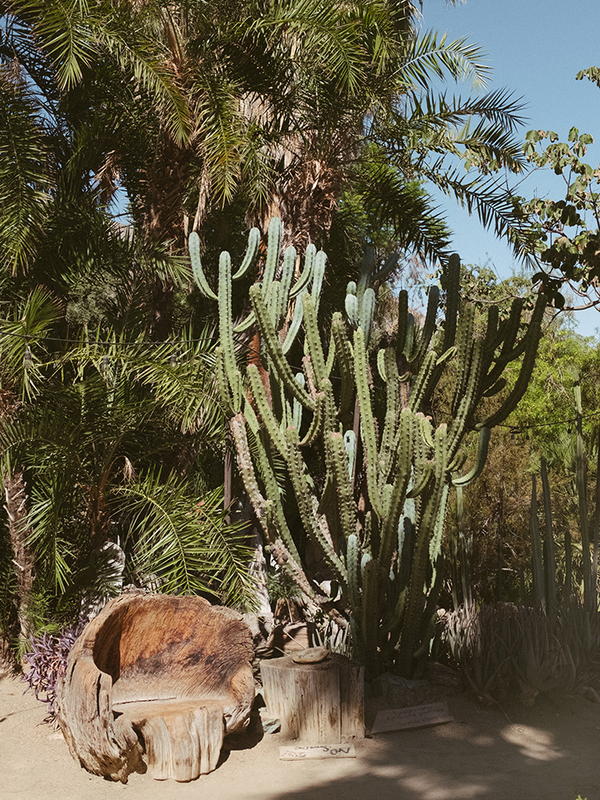 You might already be familiar – just outside of Palm Springs is Joshua Tree. 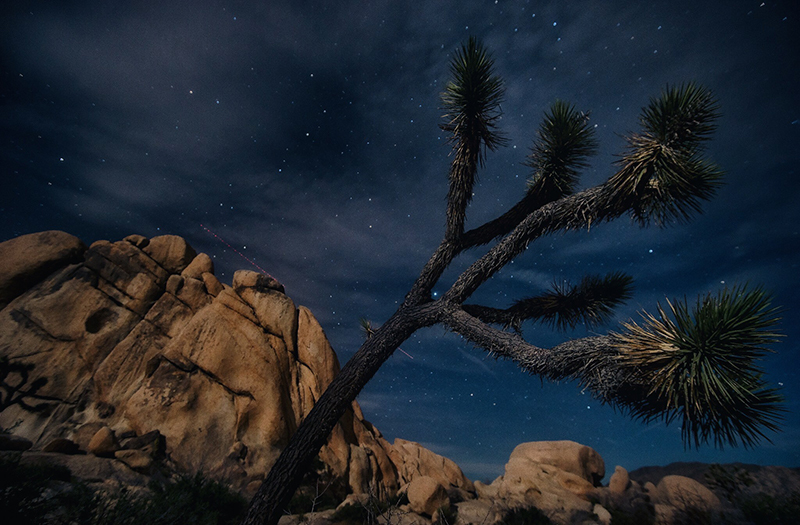 Avid hikers, campers, and adventure lovers often look forward to visiting Joshua Tree National Park when they are in the valley. Just be aware that temperatures here can vary greatly from those of the low desert regions like Palm Springs. It can get drastically cold and windy at night depending on the time of year you visit… so, plan accordingly! Similar to the windmills, the views of Joshua Tree can look unreal during sunrise and sunset because you have that open horizon which makes for a beautiful photo backdrop. 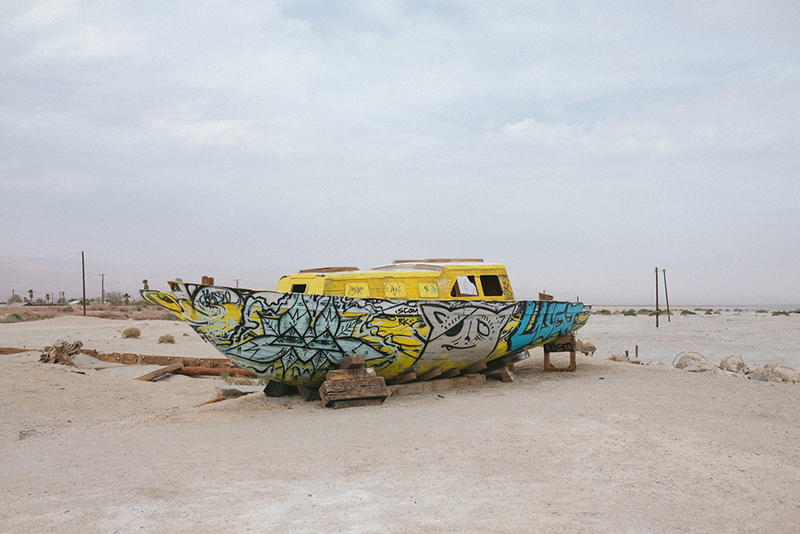 The history of Salton Sea is quite interesting. If you have never been to this once-paradise, now-apocalyptic town and are in the Palm Springs area for at least 3-4 days, I highly suggest coming out to see it! The first time I visited with David, we thought we finally found a beach in the desert. In fact, the “sand” looked so white and perfect! Once we got out of the car and were greeted by a disgusting stench, we quickly learned that the sand is actually not sand at all – just millions of dead fish bones broken up. It hurts to walk on, so I never went again in flip flops. 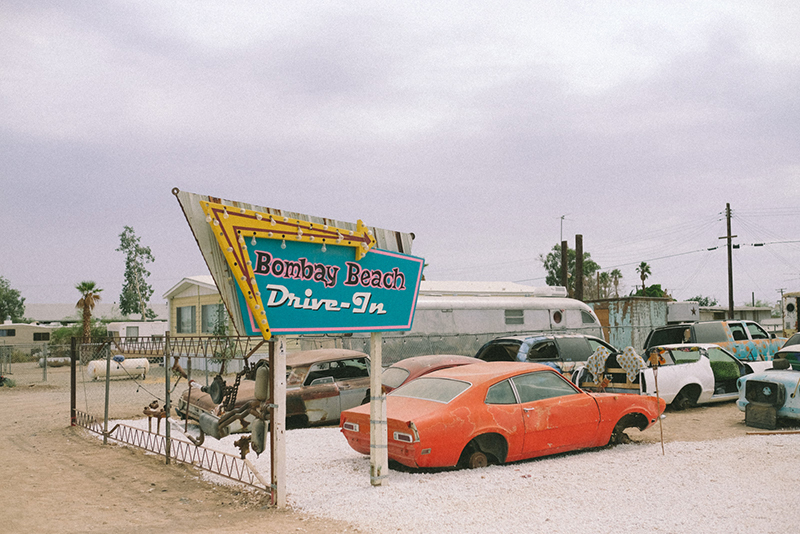 If you are keen to drive around the area, you’ll find a lot of abandoned elements that used to make Salton Sea a paradise (i.e. hotels, boats, drive-ins, etc). Managed to make your way out to Salton Sea? 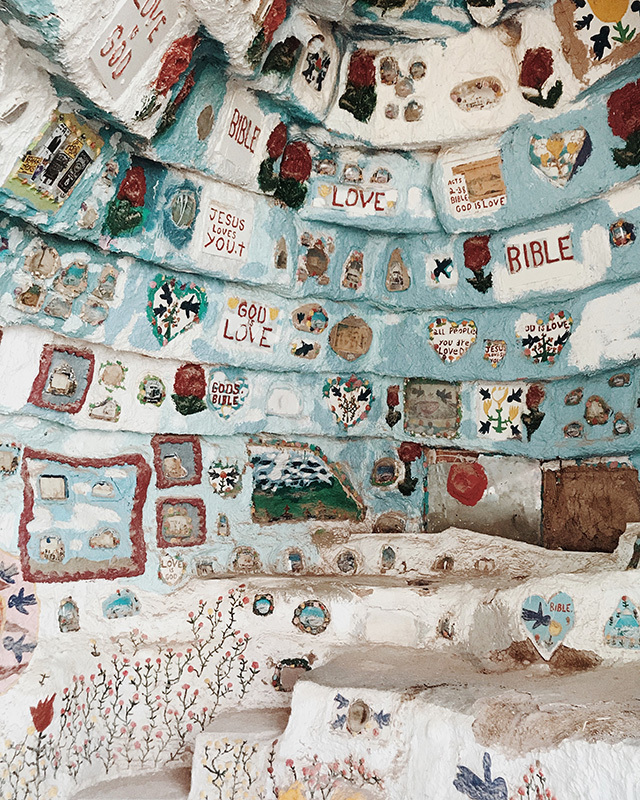 Turn your adventure into a day trip & visit the monumental Salvation Mountain. It is just several miles away! This visionary art piece was created by a local resident, Leonard Knight, to deliver his message that “God Is Love.” He was very devoted to this project but passed away in 2014. 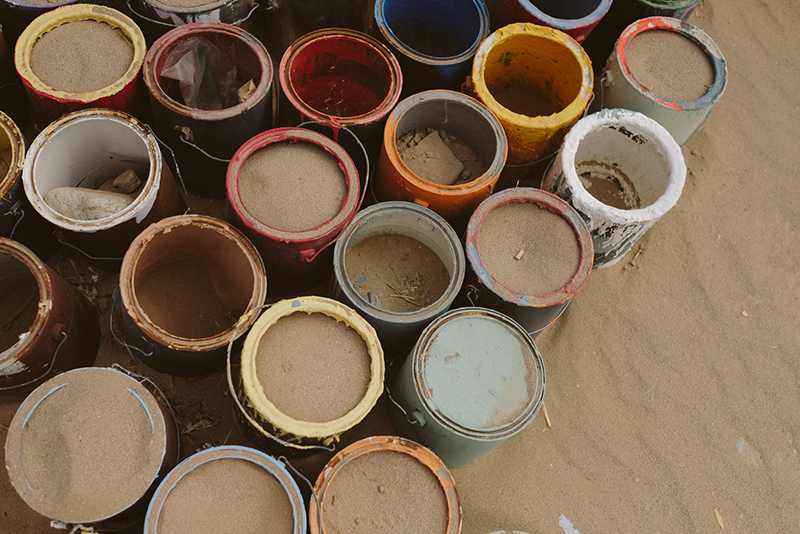 Salvation Mountain is 28 years in the making, covered in half a million gallons of latex paint. Volunteers now work diligently to maintain and protect Knight’s hard work. So long as you follow the yellow brick road, photography is welcome here. The beautiful colors and unique sculpture make it a sight to remember! 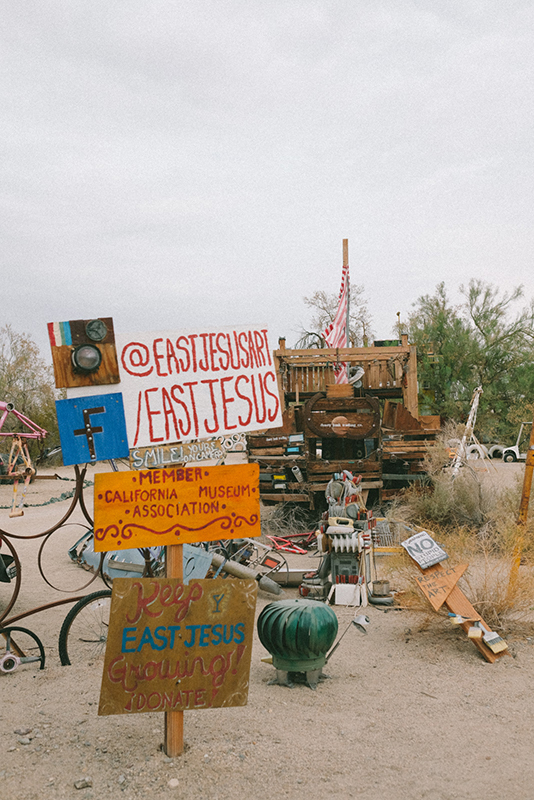 After Salvation Mountain, check out East Jesus in Niland, just at the end of Slab City. This is another attraction that will surely wow you! The artwork is dusty, dirty, and trippy. 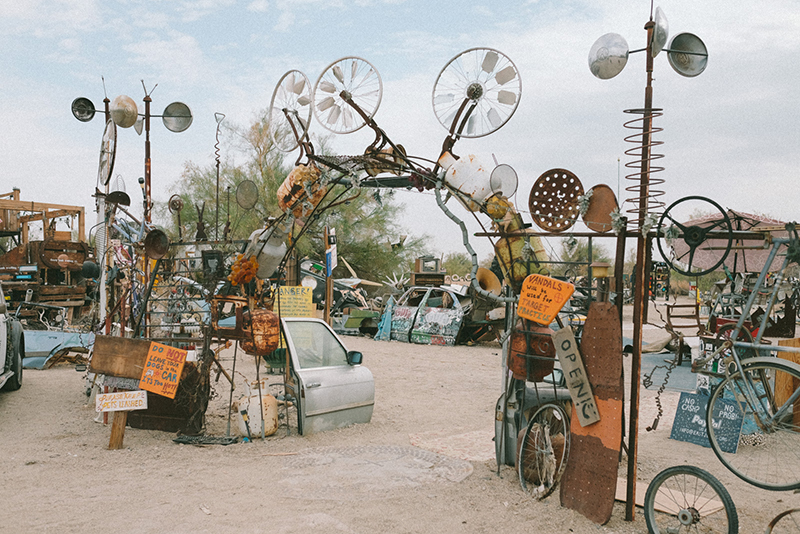 Imagine trash and junk transformed into incredible sculptures – it’s definitely not everyday art you’d stumble upon. If you go at a time when it’s not busy, and on a cloudy day, it feels extra eerie. Yes, I’m speaking from experience – it was an unforgettable one. The Algodones Dunes is located in Imperial County about 2 hours from Palm Springs. It’s a bit of a drive, but is so worth it if you have some extra time in the valley! Most people do not realize that there are actual sand dunes in California. I was pleasantly surprised when I came out here for the first time. The few times I’ve visited, it was never too busy and we were able to squeeze in a few fun fashion shoots. It is pretty deserted and can get very hot though, so be sure to pack plenty of water and stay hydrated! The best time to visit the dunes is anytime but summer because it just gets way too hot to fully enjoy it then. 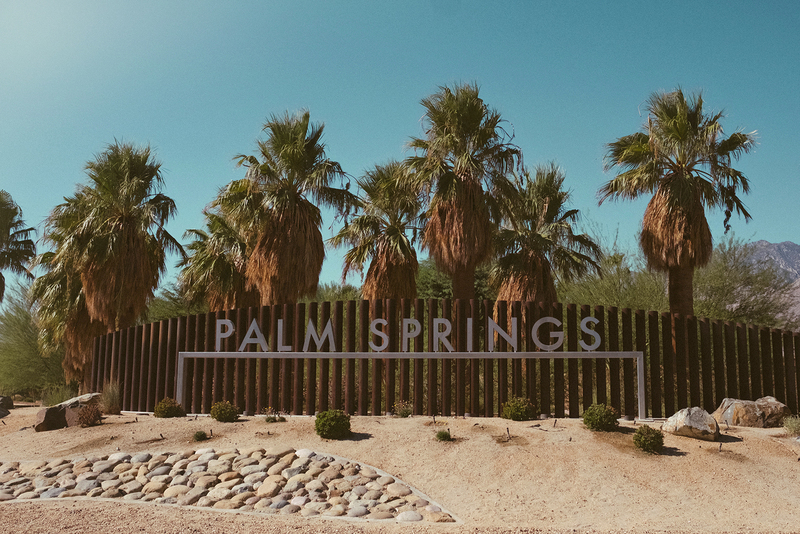 In case you missed it, I also shared my favorite Palm Springs hotels last month, in case any of you are looking for a place to stay during your visit (or just more places to check out)! 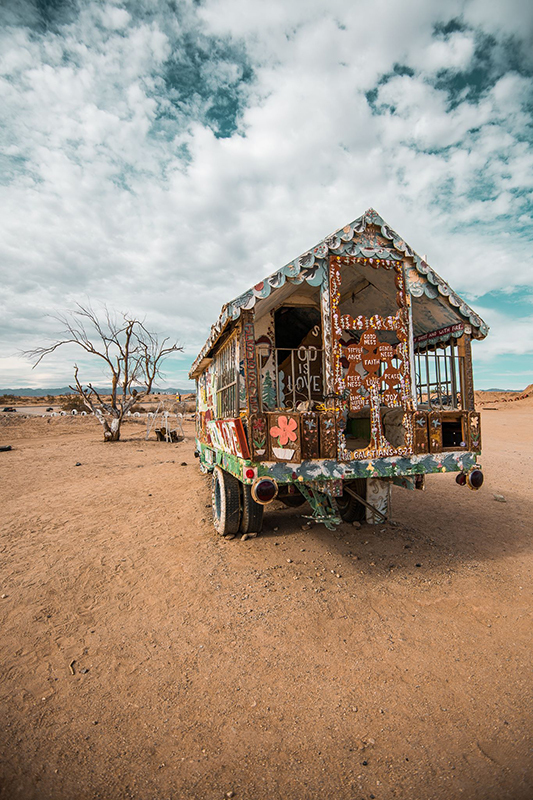 Have you seen any of these iconic sights around Palm Springs? 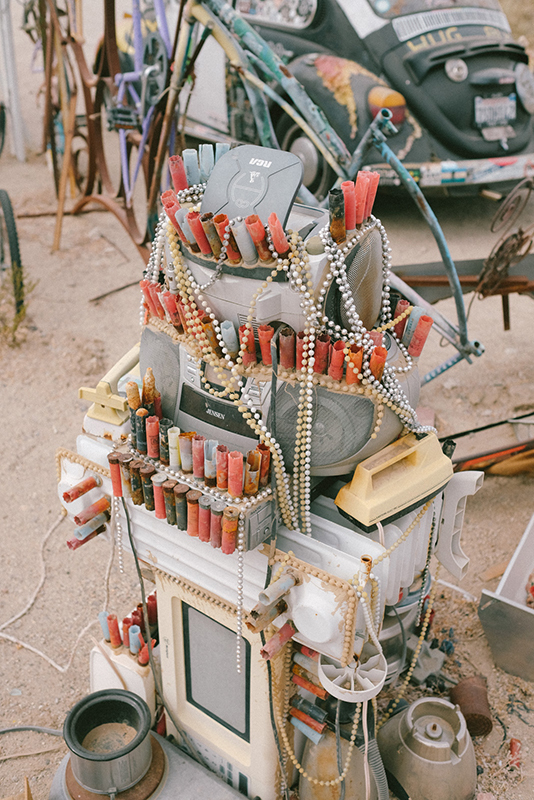 I just shot at Salvation mountain and Joshua Tree and I got the best pictures! I love your parisian hat in the first couple of photos! Such a cute trend! wow these places all look so amazing, i seriously need to make a trip to palm spring. I need to get myself to Palm Springs asap! This place looks so amazing and perfect for Insta-photos! I’ve made a stop at the Cabazon dinos once when I went to the outlets with friends! Definitely a cute spot to see. Loving your other recommendations too! Thanks for sharing. Isn’t it? So glad you were able to see it! The pictures really don’t do those dinos any justice lol they look wayyyy bigger in real life! I know I say it all the time, but these photos are gorgeous! Also, those dunes look amazing!! If I ever go to Palm Springs now I know where to go! I have never been to Palm Springs. There are some interesting places to see it looks like. Thanks for sharing. I hope you’ll have the opportunity to visit one of these days! There are so many cool places to see out here. I’m absolutely dying to visit Palm Springs! 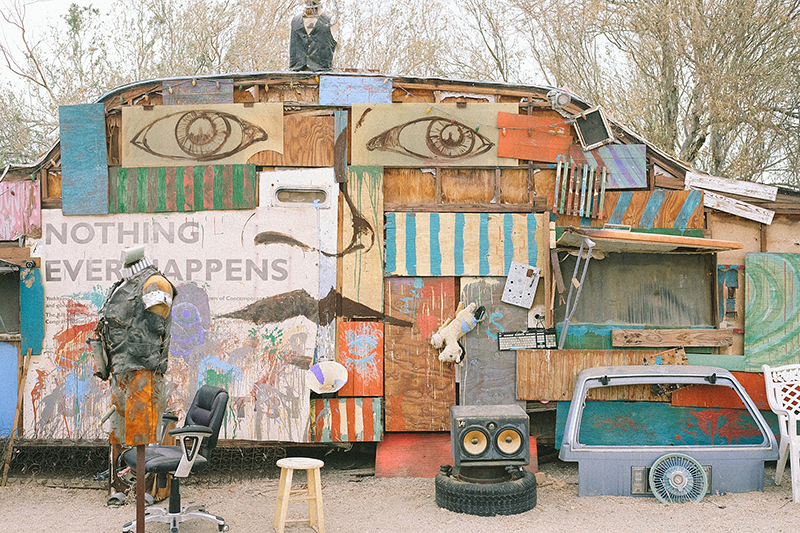 It would be amazing to see all these fun spots in person! I love this post!! So many cute spots in Palm Springs!! Definitely makes me want to make a spontaneous trip out there! I absolutely loved them. I wanted to visit CA but now I’m not sure though. 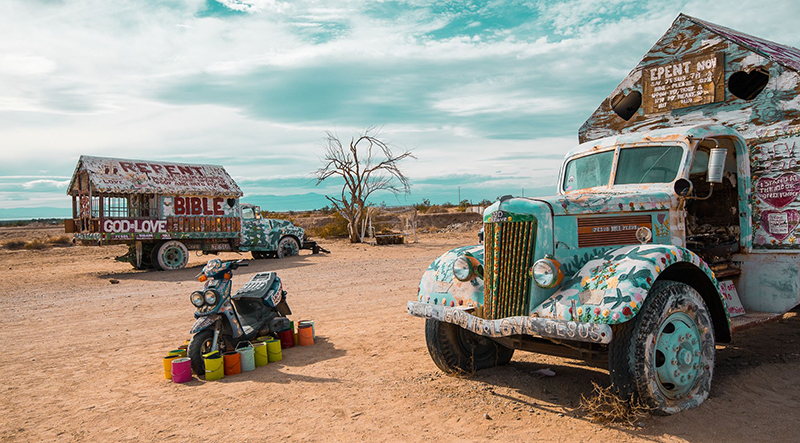 I have to admit- I’ve been to CA several times but never had a desire to visit Palm Springs but seeing Salvation Mountain would be worth the trip! Yes!!! 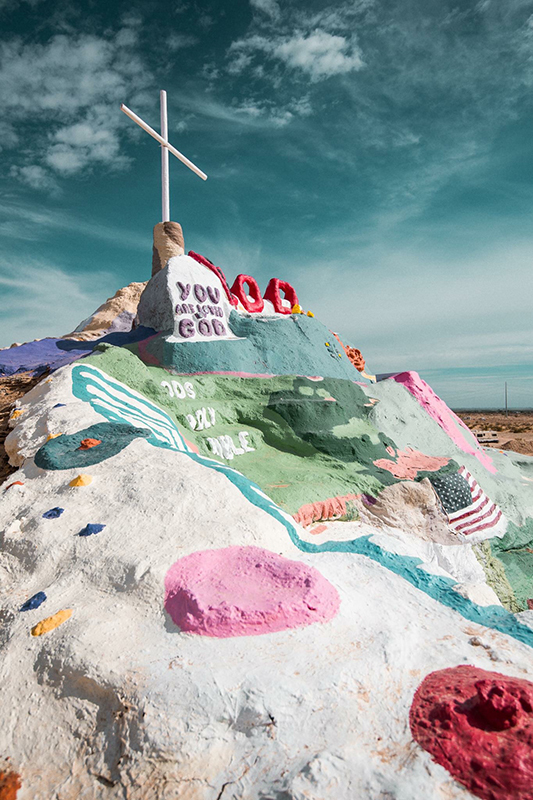 Salvation Mountain and East Jesus are both fun places to check out. 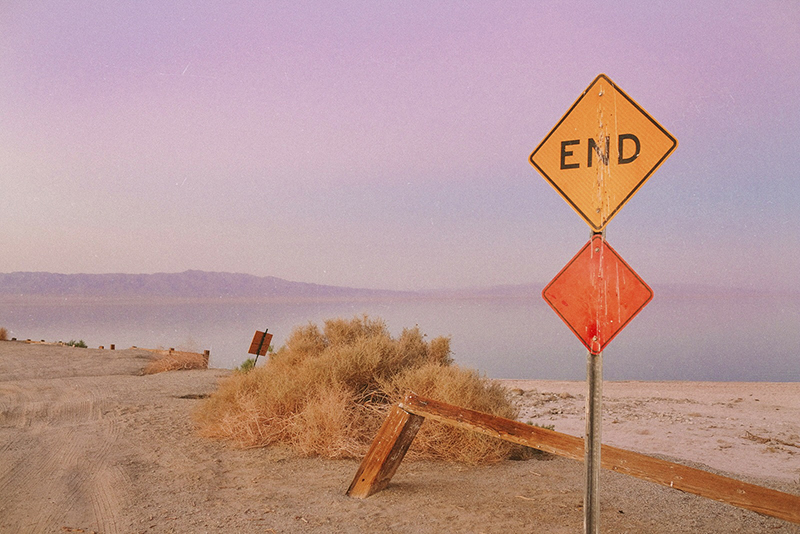 If you’re in that area you might as well check out Salton Sea too! It looks like there is something for pretty much everyone. 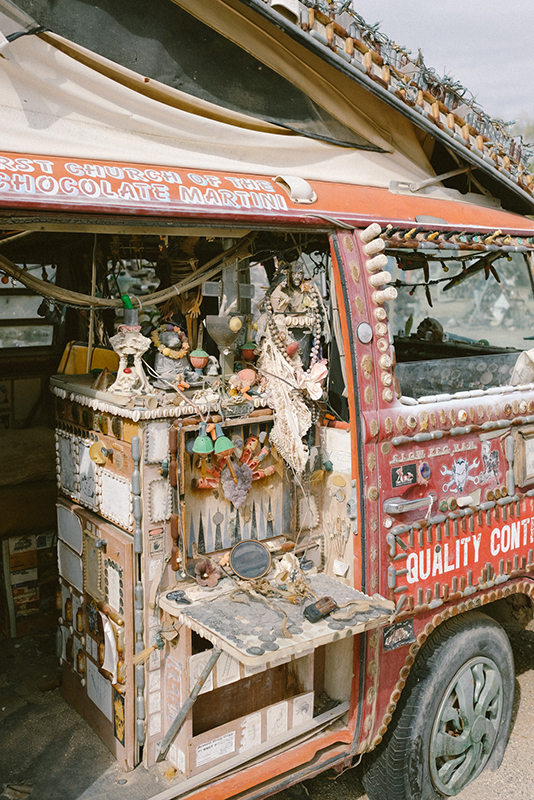 So many fun and funky places to visit! What a nice post full of great ideas! Thanks so much for sharing. I love Palm. Starting going for coachella. Now a friends parents have a place there. It’s such a magical place! This post is amazing! The photos are incredible, and I have always wanted to visit the dunes. Great read. Thank you so much! Glad you enjoyed the article. The dunes is a fun place to visit… I can’t wait to go back once it cools down some more! Ahhh now I really want to visit Palm Springs! What a perfect set of spots. Bookmarking! 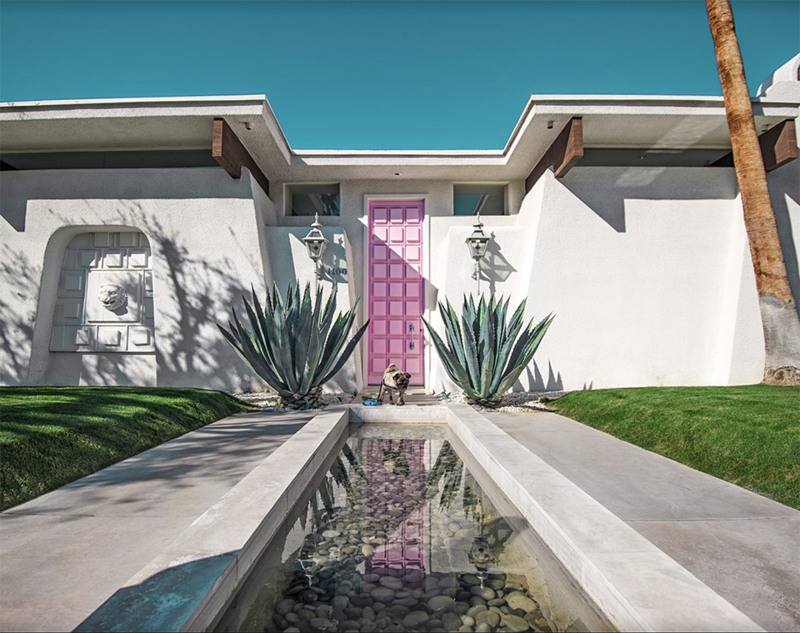 It’s funny how a normal house with a pink door became an Instagram attraction, so badly that the owners had to prohibit photography. 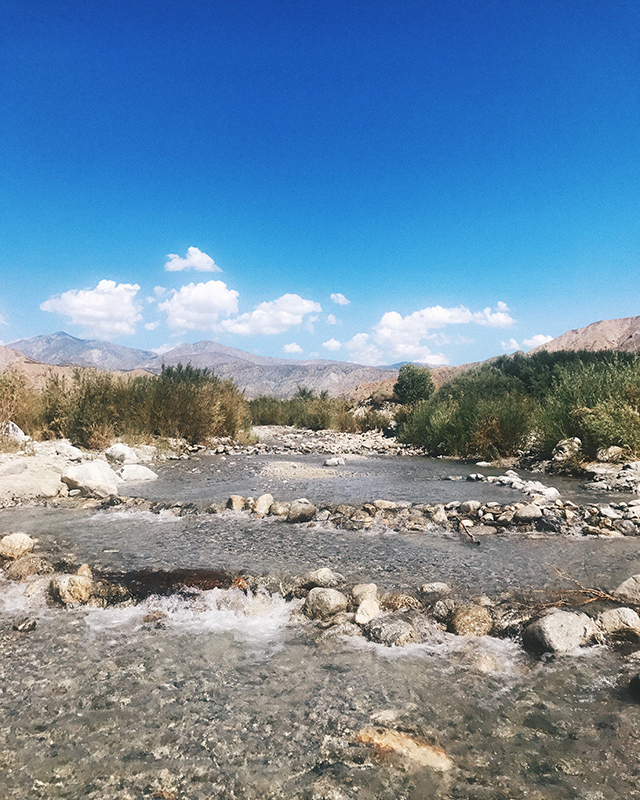 I like that there are so many spectacular and unique insta spots around Palm Springs. 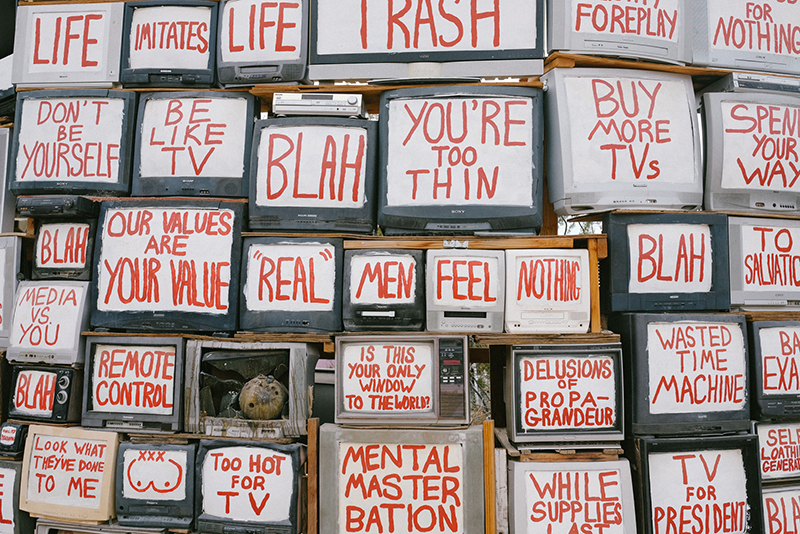 The Salvation Mountain has to be my favorite. LOL right? They even had an Instagram account for their door and initially did allow guests to take pictures but I guess they didn’t expect it to go overboard lol. But, I don’t see why one couldn’t still take a picture in front of the house from the street or something. Salvation Mountain is one of my faves too! It’s so unique and I had never seen anything quite like it before. so many of these spots are incredible! east jesus is super cool! This looks like an incredible place to photograph! I love finding Instagram-worthy places to post about. I’ve found my next destination! 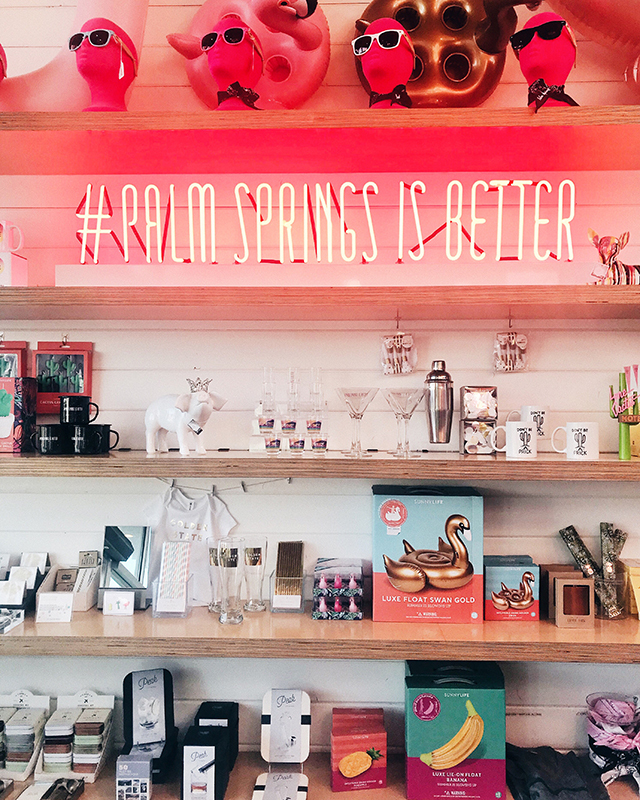 You won’t run out of ideas in Palm Springs! I really want to visit Palm Springs! It looks so beautiful! 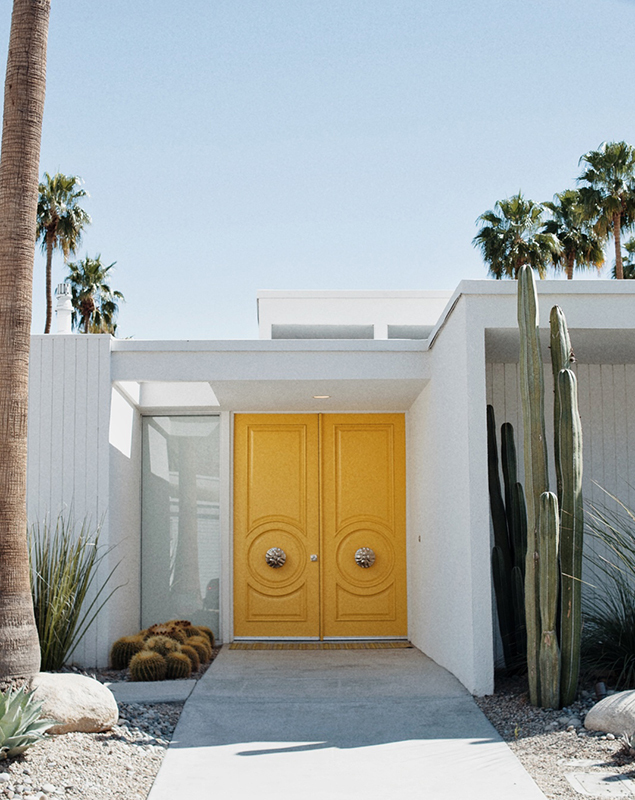 Palm Springs always made me feel curious and it is in my dream destination list. I think it is instaworthy everywhere but your places are even better! Looks like such a great place! My aunt used to be in the same golf club as Tiger Woods lol. Whattttt!! That is crazy! I’m actually in a golf course community really close by to that golf club! Ahh I love Joshua Tree for photography! The skies there are the absolute best. I do too! I have to agree with you – the skies are really nice and make for dramatic sunrises/sunsets! OMG what an amazing mix of gorgeous spaces to shoot for insta! I would love to take a trip there! Need to bookmark this in case I ever make it out that way! Love how you found a mix of so many fab places! All of these location look gorgeous and worthy of a visit. I wouldn’t know where to go first, perhaps the rose garden! Thanks for sharing! 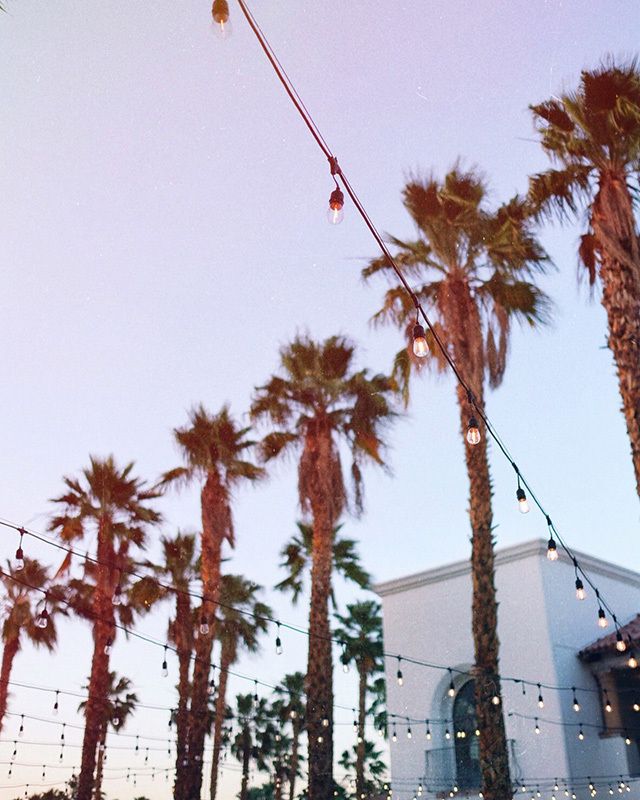 I have always wanted to visit Palm Springs and now I want to go even more. I will definitely keep this list of spots in case I end up going anytime soon. Yay! Glad you found this little list handy. Hope you have a chance to come out and enjoy the delight of Palm Springs! These are some GREAT shoot spots! Whitewater Preserve is my favourite of the bunch, I think. These are absolutely beautiful pictures. I think you’d be able to make any spot Instaworthy. What an awesome list! My kids would go NUTS running around with the dinosaurs! I’ve never been to Palm Springs, but I always thought it would make a fun getaway. Now I KNOW it would! Lol!! 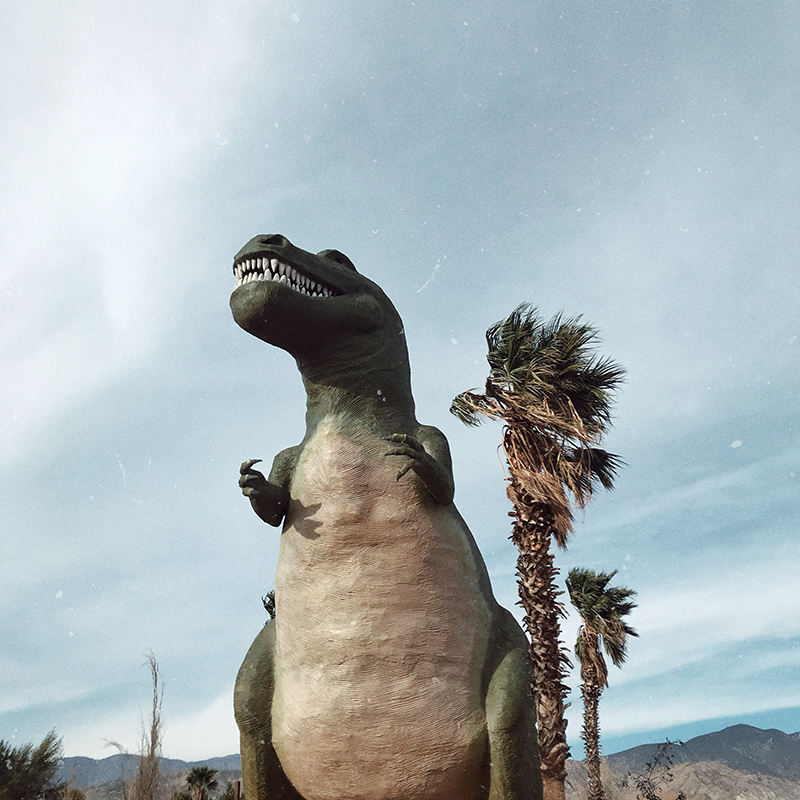 Yes, the dinos are quite fun and I hear that kids enjoy it a lot there 🙂 Palm Springs is a great family getaway destination! PalmSpring is such a great place to visit and I am always dreaming about going to here. Truly a bucket list material. Will have to check these spots out! Great pictures I would love to visit here one day. I love the pink door and know my boys would like the Cabazon dinosaur. Thanks for sharing. 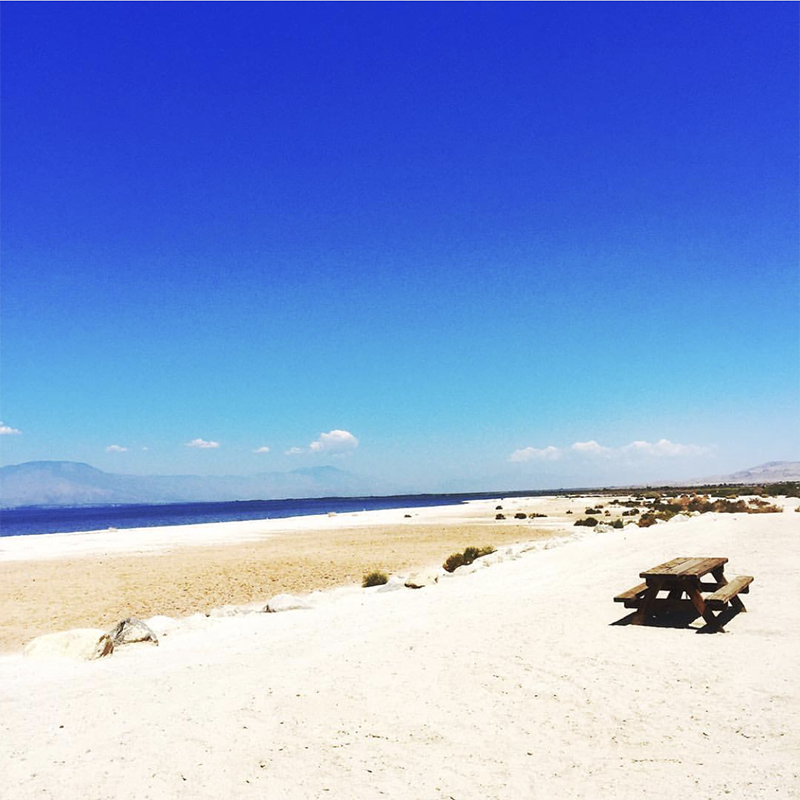 Those are really beautiful places to visit and it feels so relaxing to be in the Salton Sea. 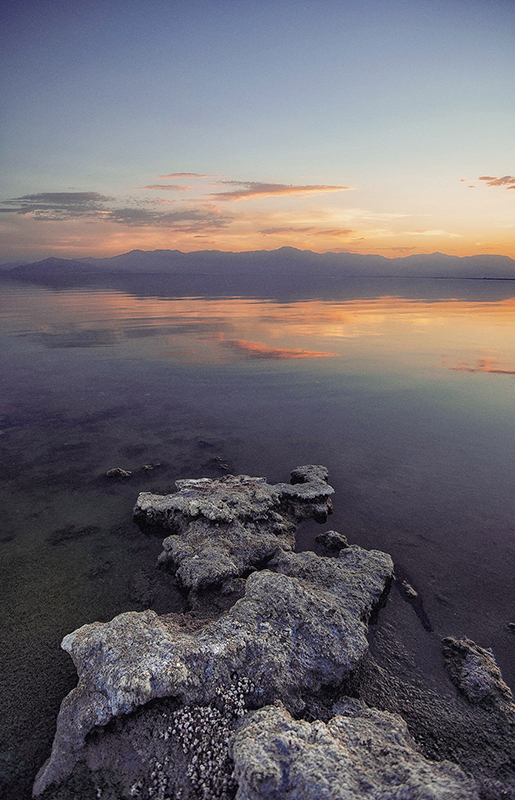 Haha yes, if you can stand the stench, it’s quite calming to visit the Salton Sea… especially during sunset! Wow! The place looks relaxing! I love the idea in strolling while having a good scenery around you. Thanks for sharing this wonderful place. Thanks for reading, Karla! I am very blessed to live in such a beautiful desert! Uou. I never tought on palm springs has a possible destination but, these wonderful pictures made me think about that! Really beautiful pictures! I have never been in Palm Spring but definitely a nice place to visit and a nice place to have a photograph. Yes! It’s beautiful in person – sometimes photos just don’t do a place justice! So many beautiful spots for pictures! I wish I could go there and take all of the pictures! I can’t wait to travel there and grab a few pictures at these places! These are some of the most amazing insta worthy places I’ve seen! I need to take a trip there and just get a full months worth of shots! This is super amazing! Your photos are lovely dear, thanks for sharing! Wow, this is a great list of places to visit. I especially love the White Water Preserve. That sounds like the perfect place for me. I grew up near a lot of whitewater rivers and I find it so calming and refreshing. I’m sorry to hear about your car getting broken into however, some people are terrible! Thank you so much Frank! Yes, you’re right! Whitewater is so calming and a great place to disconnect and just be in touch with nature. Despite getting my car broken into once, I still enjoy visiting! Palm Springs is soo picturesque! I love it! These are gorgeous spots! So many Instagram spots to add to my list of places to go! 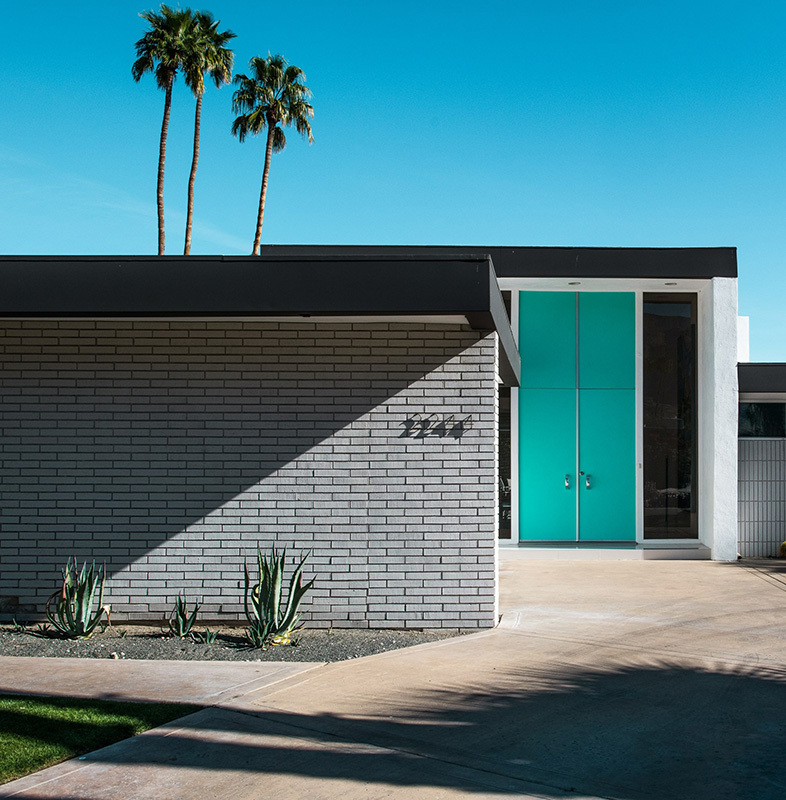 I’ve never been to Palm Springs before but it looks so eclectic and interesting there! Pretty destinations! I’ve been to this area just once but I remember it being hot and dry. Going to the spa or to the gardens is always a great idea. Yes, it’s usually quite hot and dry in the summer – though we had quite a hot and humid one this year 🙁 I personally prefer dry heat haha. Visiting in the fall/spring is nice here! 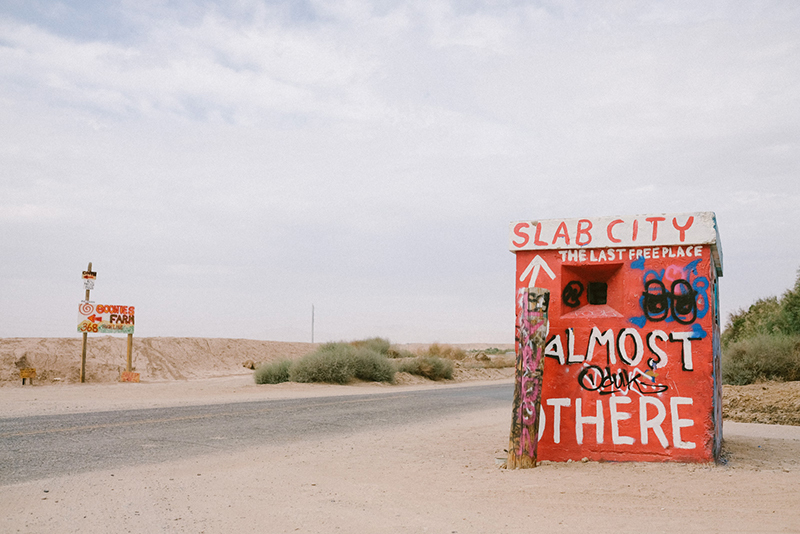 These are all such beautiful spots I really want to go to salvation mountain and salton sea!! Bravo! Both are beautiful spots that you won’t regret visiting, for sure! These are really picky pictures and trust me you have some great taste for the choice of location and pictures. Ahhh I’m so visiting some of these locations when I’m up in Palm Springs!! Definitely insta- and blog worthy photos!! I really miss the beauty of the desert, especially when there are like no deserts out in Japan haha. These are gorgeous shots!! I’ve only been to Palm Springs once but it was so cool there. I’d love to go back and check out some of these spots! Soooo many good picks! I just moved from about an hour away from PS and have visited many of these spots. I especially loved the living desert and botanical garden. Girl I am planning to come to the states next year and you’ll have to take me to ALL these places! We can have a shoot day/week!!! These photos are seriously so amazing!! I really want to make it back to Palm Springs. It’s been years since I went and it was for a bachelorette so I didn’t really get to do much exploring. Pinning this for later so I have all these spots when I do plan a trip! Pictures are stunning… not only insta worthy….. each one is wall-frame worthy…. please take a print …. those are achievements, memoirs for the places you visited …. to shine your victory right in your room.